"Elf the Musical" will be staged Saturday and Sunday. A hodgepodge of activities — from some early Christmas celebrations to commemorations of military veterans — are on tap for this weekend and beyond. Check here for all the details. 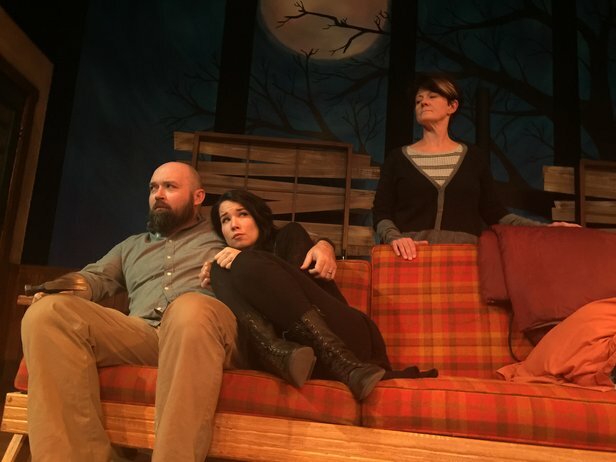 Amarillo Little Theatre continues its 90th season with a staging of The Birds, Irish playwright Conor McPherson's adaptation of the Daphne du Maurier short story that also inspired Alfred Hitchcock's 1963 film. Here's my preview, which you'll want to check out to see why it's not the fine feathered fiends that our characters really have to worry about. The drama will be staged at 7:30 p.m. Thursday and Nov. 10; 8 p.m. Friday, Saturday and Nov. 11 and 12; and 2:30 p.m. Sunday and Nov. 13 in the Amarillo Little Theatre Adventure Space, 2751 Civic Circle. Tickets are $19 for adults, $16 for students and seniors, and $13 for children ages 13 and younger for Thursday and Sunday performances and $21 for adults, $19 for students and seniors, and $15 for children for Friday and Saturday performances. Call 806-355-9991. During regular First Friday Art Walk at The Galleries at Sunset Center, the Collective Heritage Lab, a coalition of artists and other interested parties, will open a collaborative art show featuring works by Afghan and American artists that will hang at The Object Gallery inside the galleries, 3701 Plains Blvd. The art walk runs from 5 to 9 p.m. and is free. The exhibition will feature nine artists from the Turquoise Mountain Institute in Afghanistan, which provides arts vocational training in woodworking, ceramics, jewelry, calligraphy and painting. Sales from the exhibition will benefit the institute, which has has provided training to 487 Afghan artists, educated 338 Afghan children, funded 63,000 patient visits to the Turquoise Mountain health clinic, restored 112 historic and community buildings, and provided 1,000 construction workers with on‐the‐job training. For more on CHL and its efforts to combat illicit global trade of antiquities, check out this story. The Christmas season kicks off in earnest with a touring production of Elf the Musical, an adapatation of the 2003 Will Ferrell film that serves as the season opener for Civic Amarillo's Broadway Spotlight Series. Performances are 7:30 p.m. Saturday and Sunday in the Amarillo Civic Center Auditorium, 401 S. Buchanan St. Tickets for the musical are $26 to $66, plus fees. 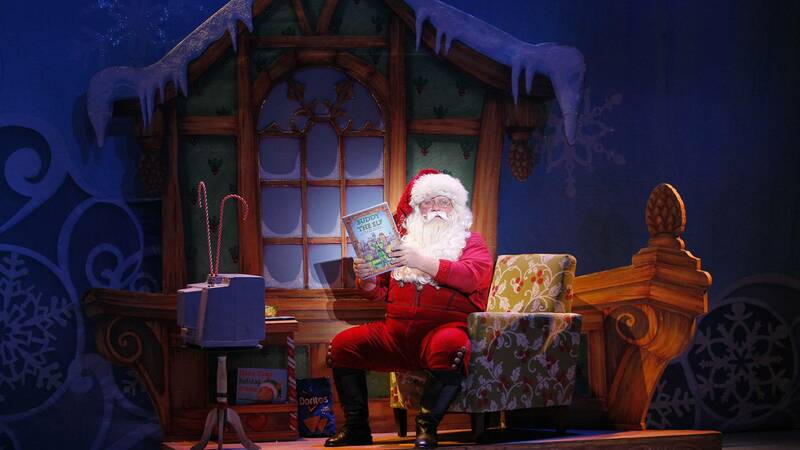 Check out my preview, in which I interview the actor playing Santa Claus, whose role is significantly beefed up in the stage version. Call 806-378-3096. Cerulean Gallery's On Edge, Pt. 2 opens with a 6 p.m. Friday reception at the gallery, 2762 Duniven Circle, and will be on view through Dec. 21. A portion of proceeds from sales at the opening reception will benefit Arrow Child and Family Ministries. The exhibition includes work by eight artists: San Francisco painter and jewelry designer Daniel Bayless (a Borger native) and painter Christian Price Frazer, steel artist Warren Hill, rancher and leather worker Jim Ingham, jewelry designer Meredith Marmaduke, painter and printmaker Jim Sims, glass artist Clayton Spauding and sculptor Sara Spaulding, all of Amarillo. Here's my preview for more information. Amarillo Opera will stage Speed Dating Tonight! 2 by composer Michael Ching at 7:30 p.m. Friday and 7:30 and 10 p.m. Saturday in the Fibonacci Space, 3306 S.W. Sixth Ave. Tickets are $20, plus fees.The one-act comic opera, to be directed by Ching and Andrew Lewis, is set in a contemporary club and follows several hopefuls in a speed-dating session (here's my preview). It's a sequel to a production first staged by the company in 2013 and serves as the Opera's contribution to National Opera Week celebrations around the country. Call 806-372-7464. The West Texas A&M University Opera Workshop will stage Gian Carlo Menotti's The Medium one final time at 8 p.m. Friday in the Mary Moody Northen Recital Hall on the Canyon campus. In the opera, a fake spiritualist (played by Laurel Bowersox) experiences something mystical during a seance and becomes unhinged. Tickets are $15 or free for WT students, faculty and staff. Call 806-651-2840. WTAMU Theatre will open its production of Arthur Miller's The Crucible at 7:30 p.m. Nov. 10 in the Happy State Bank Studio Theatre on the Canyon campus. I'll have a preview of the production on Monday. Tickets are $12 for adults, $8 for seniors and students, and free for WT students, staff and faculty. Additional production dates are 7:30 p.m. Nov. 11 and 12 and Nov. 18 and 19, plus 2:30 p.m. Nov. 13 and 20. Call 806-651-2804. Amarillo Museum of Art Alliance will host its annual Christmas Roundup holiday market from 1 to 4 p.m. Friday, 10 a.m. to 6 p.m. Saturday and 11 a.m. to 4 p.m. Sunday in the Amarillo Civic Center Complex North and South Exhibit Halls, 401 S. Buchanan St. Friday's opening-day events also include early-bird shopping from 10 a.m. to noon and cocktails and shopping from 5 to 8 p.m. A breakfast with Santa and Mrs. Claus runs from 10 a.m. to noon and is free for children ages 12 and younger with paid adult admission; cookies and craft time with the Clauses is set for 1 to 3 p.m. Saturday and, again, is free for children ages 12 and younger with paid adult admission. Admission is $8 for the weekend and $20 for the cocktails and shopping period. 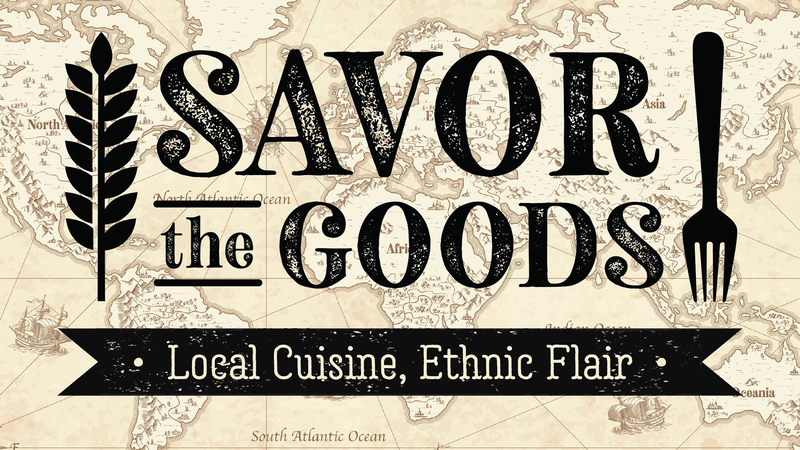 Proceeds benefit AMoA Alliance's education programs. Call 806-371-5050. Veteran's Day activities begin Saturday with the annual parade in downtown Amarillo. The parade kicks off at the Amarillo Chamber of Commerce, 1000 S. Polk St., heads north on Polk to Fifth Avenue, then heads west to Harrison Street, where it will end at 11:30 a.m. Following that, the Amarillo VA Health Care System will host its Welcome Home Veterans celebration from 11 a.m. to 1 p.m. in the Rex Baxter Building on the Amarillo Tri-State Fairgrounds, 3301 S.E. 10th Ave. The event, which is free for vets and their families, will include food and games. Call 806-355-9703. 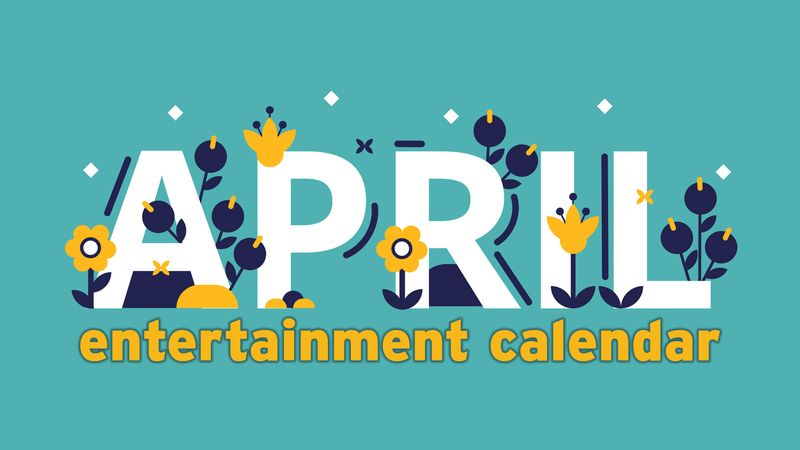 Other upcoming events include free admission for all military personnel (active and retired) and their immediate family at the Amarillo Zoo from 9:30 a.m. to 5 p.m. Nov. 11, and West Texas A&M University's Military Ball at 5 p.m. Nov. 12. The ball will feature the traditional presentation of colors, a roll call, live and silent auctions, and dancing to music by Strange Saints. Tickets are $80 per military veteran couple and $45 for an individual veteran. Non-veterans pay $100 per couple or $60 per person, and students pay $50 a couple or $30 per person. Tables for eight are $1,000. Tickets are available at the circulation desk at Cornette Library on the WTAMU campus or by calling 806-651-2075 or 2067 between 8 a.m. to 5 p.m. Monday through Friday. Tickets can also be purchased online at wtamu.edu/veteransball. 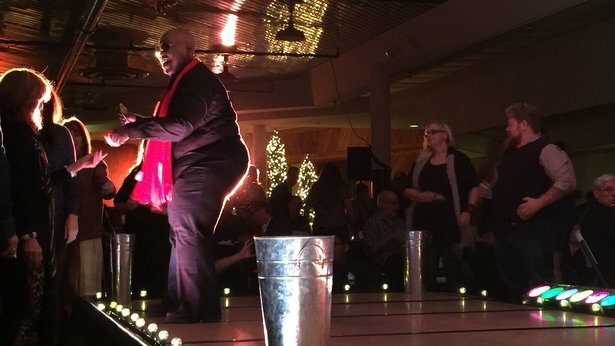 Panhandle AIDS Support Organization's annual Turnabout fundraiser is set for 8 p.m. Saturday in the Sunset Event Center, 3701 Plains Blvd. This year's theme is "Meet Me at the Grammys"; check out my preview for more details. Tickets are $25 or $40, or $640 for tables of eight. Call 806-372-1050. Amarillo Zoo, 700 Comanchero Trail, will celebrate Texas Arbor Day from 1 to 3 p.m. Saturday by offering free tree seedlings and wildflower seed packets to guests. Admission is $4 for adults, $3 for seniors ages 62 and older and $1 for children ages 3 to 12. Call 806-381-7911. Reservations are due Tuesday for Amarillo Botanical Gardens' Texas Hunt Dinner and silent auction, set for 7 p.m. Nov. 10 at the gardens, 1400 Streit Drive. Hunt-chic attire is requested. Tickets are $50. Call 806-352-6513. Working Ranch Cowboys Association World Championship Ranch Rodeo performances kick off at 7 p.m. Nov. 10 and continue nightly through Nov. 13 in the Amarillo Civic Center Complex Coliseum, 401 S. Buchanan St. Tickets are $32, $37 and $42, plus fees. Nov. 11 and 12 performances are sold out, but a limited number of tickets will be available next week when unused tickets reserved for teams will be released. Tickets for Nov. 10 and 13 are available, but are selling fast, said WRCA's Randy Whipple. Check out my preview, in which I interview competitor Jet McCoy, a former professional rodeo athlete and three-time contestant on CBS's The Amazing Race. Also of note: the Budweiser Clysdales will appear from 4 to 6 p.m. Wednesday and participate nightly in the rodeo. 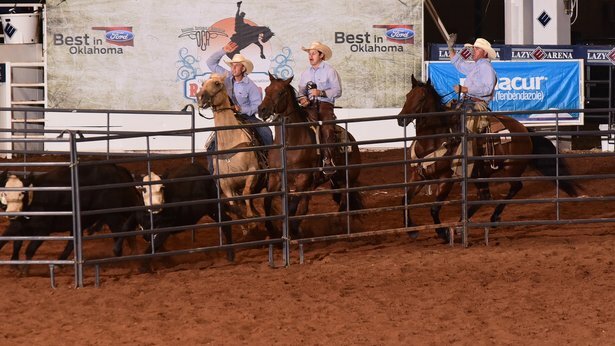 The WRCA schedule includes a kickoff party, featuring a concert by Ned LeDoux, at 6 p.m. Wednesday; a trade show, a ranch expo, junior ranch rodeo competitions and more daily; and competitions beginning at 7 p.m. nightly. For a full schedule, click here. Call 806-378-3096. The Amarillo Bulls will face the Corpus Christi IceRays at 7:05 p.m. Friday and Saturday in the Amarillo Civic Center Complex Coliseum, 401 S. Buchanan St. Single tickets range from $13 to $23, or $9 for children ages 2 to 12.